Our law firm received the Avvo Clients’ Choice of 2016 award, which we earned because of our positive client reviews. It’s important to work with an award winning attorney during a divorce to ensure you receive a fair settlement. Our top attorneys will be aggressive when pursuing a settlement that is in the best interests of you and your children. Sarieh Law Offices ALC. 5.0/5.0 stars – based on 22 reviews. When you work with an honest lawyer from our firm, you can rest assured knowing that our lawyers are protecting your best interests. The end of a marriage can be a very emotional and challenging experience. It’s not uncommon to feel a wide range of emotions, from anger, sadness or regret about the end of the relationship, to fear about going out into the world on your own, to sadness at the prospect of sharing custody of your children, to hope and excitement about the future. Getting a divorce is a difficult and transformative experience – this much is certain! Unfortunately, many divorces get extremely adversarial. But even if your divorce has been more cooperative in nature, you can benefit significantly from the services of an experienced divorce lawyer. The divorce attorneys with Sarieh Law Offices deal in all aspects of family law, so we are well-positioned to guide you through every step of the process, from filing those divorce papers to finalization and beyond. When you hire one of our Orange County divorce lawyers, you’ll benefit from working with a specialist in family law, certified by the State Bar of California. We also offer many years of experience, combined with our unwavering commitment to you, our client. Our goal is to protect you and your interests as we work to ensure that the situation is finalized in a fair, favorable manner. If you’re going through a divorce or need help with another family issue, such as legal separation, annulment, child custody, child support, spousal support and other related matters, turn to the experienced family law lawyers of Sarieh Law Offices. Contact us today to arrange a free, confidential consultation by calling (714) 542-6200. Getting divorced can be a simple, straightforward process for some couples, while others experience a more challenging, complex and adversarial divorce experience. It’s common to have many questions and concerns, as many clients have never gone through a divorce before. So our legal team has compiled a look at some of the most common questions that we address with clients like you. What’s the Process For Getting a Divorce? In California, the process begins when one party files a divorce petition. The other spouse, called the respondent, must file a response within 30 days. Your attorney may opt to file a request for a show cause hearing, where a judge can issue a temporary child custody order, child support orders or a restraining order (amongst other orders). Next, comes the discovery process, where both sides share documents and other information. Your divorce lawyer can also assist with the preparation of the Preliminary Declaration of Disclosure, which includes information on assets, income, and expenses. Your lawyer will also guide you through the process of preparing a Marital Settlement Agreement, which details division of assets, spousal support, child support, custody and other related matters. If you cannot arrive at an agreement, the case will proceed to trial where a judge will decide on your behalf. At the end of this process, the judge issues a Judgement of Dissolution of Marriage, which details all of the court’s orders. The divorce is then finalized in six months. Each divorce is somewhat unique, and there’s no one size fits all answer when it comes to the divorce timeframe. In a simple, straightforward case involving a brief marriage of five years or less, involving few assets, no children, and both parties who are in full agreement over the terms of the divorce, you can opt for a summary dissolution. A summary dissolution does not require the couple to appear before a judge, and the matter can often be finalized within six months. In the case of a couple that has been married for many years, with lots of assets, children, and very different ideas about what constitutes a favorable outcome, the process could take a year or longer to be finalized. In California, divorces have a six month waiting period prior to finalization. Are There Any Residency Requirements for Getting Divorced in California? In the State of California, a couple must reside within the state for a minimum of six months. They also typically need to reside within the same county where they plan to file for divorce for a period of three months prior to filing the divorce petition. What Happens if My Spouse Doesn’t Want to Get Divorced? California does not require both parties to be in agreement about the divorce. California is considered a “no-fault divorce” state, which means that no individual is to blame, per se. Rather, the court must find that “irreconcilable differences” have resulted in an irrevocable (un-fixable) deterioration of the marriage. What’s the Difference Between a Legal Separation and a Divorce? California offers both legal separations and divorces. Both divorce and legal separation have very similar processes – assets are divided, child custody is decided and so on – but the marriage is not formally dissolved in the case of a legal separation. With a legal separation, you can still maintain many of the benefits that married couples enjoy, such as tax benefits and health insurance benefits. The only “catch” is that you cannot get remarried unless you convert the separation into a divorce. Legal separation may also be a suitable option if you do not fulfill the residency requirements. For instance, most counties in California have a three-month residency requirement. But if you do not meet this requirement, it’s possible to opt for a legal separation. Once you meet the residency requirements, your divorce lawyer can amend the petition to request a divorce. Do I Need a Divorce Lawyer? While it is theoretically possible to handle a divorce without a lawyer representing you, it’s generally unwise. Many couples are tempted to share an attorney, but what’s in your best interest may conflict with what’s in your spouse’s best interest, making it impossible for one lawyer to effectively represent both parties. While there are some rare instances where the couple is in full agreement on all aspects of the divorce, this is rarely the case. Therefore, a majority of individuals can benefit from hiring an attorney to protect their interests. Getting divorced can be a very emotional and challenging experience. But it’s a necessary step to allow you and your partner to move forward into the next stage of your life. An experienced divorce lawyer can serve as an aggressive advocate, working hard to ensure that the final agreement is fair and in your best interest. The family law attorneys of Sarieh Law Offices work with clients across Los Angeles and Orange County. 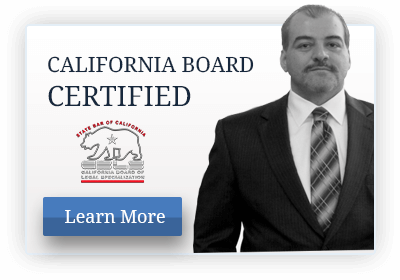 Certified by the State Bar of California as specialists in family law, we can help with all aspects of your divorce, including legal separations, domestic violence issues, child custody and child support, spousal support and alimony and beyond. Contact us today to arrange a free, confidential consultation by calling (714) 542-6200. "I have used Mr. Wail Sarieh for my divorce separation case. The communication with Mr. Wail was excellent and he did a wonderful job of explaining how the case was going and what to expect. I always felt like I am his top priority and he always gets the case resolved quickly."